Discover the Simple Step-by-Step Guide That Will Finally Rub Out Your Shoulder Pain! If you are interested in eliminating your own shoulder pain a fast, simple, safe and effective program that most health & fitness professionals don’t know about or are doing wrong, then read this important letter. My name is Rick Kaselj. I am an exercise and injuries specialist and international presenter for effective exercises for injuries. 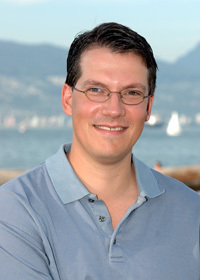 I have written numerous articles that have appeared in newspapers, fitness magazine, written leading exercise injury manuals in the fitness industry and taught over 286 presentations to 5536 fitness professionals across Canada and the USA. 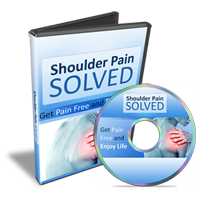 I’ve developed the Shoulder Pain Solved Program to help you solve your shoulder pain. The Shoulder Pain Solved Program is the result of 6 years of University study (including a Master’s Degree in Exercise Science), 16 years of hands-on experience, constant searching for the best shoulder pain techniques, and teaching these shoulder pain techniques to thousands of other fitness professionals who have used these techniques to help their clients. Plus thousands of personal training sessions with shoulder pain clients, and the careful scrutiny of 141 medical research papers. I had to get my 15 month old son and my dog out of the kitchen. I feared that my son would eat one of the shards of glass or my dog would slash open his paws. The breaking of the jar was all a result of my shoulder pain. I was lifting a large glass jar of popcorn kernels, in order to put it back on the top shelf in the kitchen. As I got the jar to the top of the shelf, I felt a knife sharp pain into my left shoulder and my arm gave way. The jar fell and shattered all over the floor. 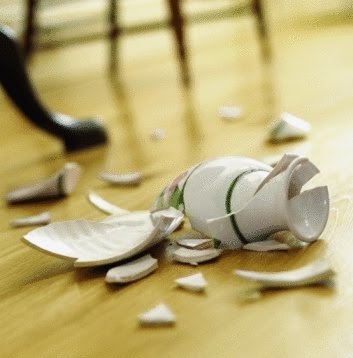 After my wife kept the rest of the family out of the kitchen as I began to pick up the shards of glass and then got the vacuum cleaner to pick up the small slivers of glass.There was glass everywhere. As I cleaned up the mess, my shoulder still ached. I wondered if the ache was going to be there forever. When I moved my shoulder, it felt off and not right. I tried to reach to the top shelf again and felt that sharp knife pain again in my shoulder. I wondered if I was ever going to be able to do something as simple as reaching for a jar again. After 30 minutes of cleaning the kitchen and making sure everything was safe for my family, I began to put a shoulder pain program together for myself. I had been doing it for years for others but now I needed it. I jotted down the 8 things that I needed to do to end my shoulder pain and began doing them. With every day, it was feeling better and with every day I had invested less time into making it feel better. Within 7 days, the pain was gone. I was surprised and shocked at how well my program worked for me; I wonder if it would work as well with others. I let a personal trainer friend of mine know about my results and about the shoulder pain program and asked if she knew of a few people with shoulder pain that could use it. ” I have to say what he is saying is absolutely dead on! I dutifully did all of my physical therapy sessions and followed the at home physical therapy to a “T” but felt like I started stiffening up within the first 2 1/2 weeks. No matter how many more stretches I did I would always take 2 steps forward and 1 sometimes 2 back. I could never get ahead of it. I absolutely believe it was because I put way too much stress on my shoulder by my poor posture, my terrible breathing techniques (I usually hold my breath through pain), my bad habit of carrying all of my worries and tension in my shoulders and the fact that I absolutely could not control my pain level through Tylenol alone. When I finished watching his Rick’s video I instantly gathered everything I needed for the self massage techniques (can you believe I had everything!!) and did all of them. I started off with heat on my shoulder then did the massage then a few of my exercises and followed up with ice. I am going to do this every night until I can gain control of my pain and work through the stiffness. Thanks so much for the info, I 100% recommend this video for anyone who is having shoulder surgery or is dealing with idiopathic frozen shoulder!!!!! “The Shoulder Pain Solved program was good. The best thing is it provides some simple yet effective steps to do daily. Practicing these simple things can only help pain issues. I esp. liked the massage, isometric and mobility stretches you provide. Rick seems to be very qualified. program. It has answered some of my questions about shoulder issues. From the first person I have given it to and to the many that have followed, the response and results from my simple program have been excellent. You are going fix your shoulder so you can play a full round of golf without shoulder pain. Your shoulder pain will be gone so you can lift your child up without wincing in pain. That sharp pinch will be gone so you can reach high to put light items back on the shelf without fear. You will wake us restful and refreshed and end restless nights of sleep. You will be able to move your shoulder fully so you can serve overhand when you get back to tennis. You will be able to hold your arm up so you can get back to gardening and repainting your room. Confidently lift luggage so you can put it away into the overhead compartment pain free. Question: I have been told that I need to strengthen my shoulder so it can be pain free? Strengthening your shoulder is important but not the only thing you need to be doing in order to overcome your shoulder pain. You need to be focusing on movements that decrease your shoulder pain, as well as stabilizing your shoulder and using pain techniques which most health and fitness professionals don’t know about. Question: Why does your program take so long to work? In fact, I know your shoulder pain will feel better in 7 days if you follow this step-by-step program. The reason why I say 4 weeks is if you want the shoulder pain to be gone for good, it will take 4 weeks to do so. That is what Shoulder Pain Solved does. On day 1, you will wonder if this stuff works but you will have a decrease in shoulder pain. On day 2, you will want to do more of the program and will feel your shoulder pain decrease even more. On day 3, the program will be incorporated into your life and it will only take a few minutes to continue decreasing your shoulder pain. Question: I already have a bunch of exercises that I have been given to me for my shoulder pain. How is the program different? It is not just exercise that will help your shoulder pain. There are other things you need to do in order to fix your shoulder pain and I will go through them in the program. The second thing is the order you are doing things. The order you do the pain techniques and exercise is important for success. Question: Are these more exercises that I have to do ontop of the ones I am doing now? I learned a long time ago that the biggest thing missing from a shoulder pain program is pain techniques. I have added these pain techniques to help you target your shoulder pain and start relieving it. “The exercises are simple and easy, but effective. It is presented in 6 parts, making it a good presentation. More Questions & AnswersQuestion: What is a Video Guide?A video guide is a recorded video presentation that you can download to your computer, burn to a DVD or view right off the internet which takes you step-by-step through the program. You can download the video at work or at home and view it when it is convenient for you. After getting the Shoulder Pain Solved Program, you will be directed to details on how to access the video guide and the full program. The instruction to view and download the video guide are easy and quick to do. If you have any problems, email me at support@ExercisesForInjuries.com and I will guide you through it. Question: Can I Watch it On My Phone or Tablet? It is in a format that you can view on your phone or tablet. Question: I was Surfing Around the Internet and Found a Bunch of Shoulder Pain Exercises. What Make Your Program Different? There is a lot of stuff on the internet when it comes to shoulder pain. This is what I have found about just surfing for shoulder pain stuff. What you will find is information focusing on one component of a shoulder pain program. It ma ybe stretching. There are still 7 other components that need to be done in order to create a successful shoulder pain program. Doing the exercises you find on the internet might lead your shoulder to feel better for a little while but the pain will be back again. Question: How Long Will it Take to Get My DVDs? You get the Shoulder Pain Program right away. Question: Are there Videos of the Pain Techniques and Exercises? I go through all of the pain techniques and exercises, plus point out the key things so you get the most out of the exercise. What is in the Shoulder Pain Solved? It is like you are in an appointment with me where I take you by the hand and explain each component of the Shoulder Pain Solved Program and how it will help you. I take the time to explain things in a way that you will understand and help you understand how the program works. I know after watching this, you will see how different this program is from anything you have seen or any appointments you have attended. In the video I show an easy assessment you can do in order to target which of the 8 components you need to do for your shoulder pain. This is very much like me taking you through an assessment, letting you know what is wrong and telling you what you need to do to end your shoulder pain. Now I take you through all the the movements, pain techniques and exercises. After doing the self assessment, you will know which components you will need to focus in on so your personalized program will take less time than you think. I also go through the equipment needed for the program and alternatives if you do not have the equipment. All of the equipment is very affordable if you don’t already have everything at home. I take the time to answer common questions that I get when it comes to the Shoulder Pain Solved Program. In 7 days, if you don’t feel a decrease in your shoulder pain you get your money back! If that is Not Good Enough, Try the Shoulder Pain Solved Program For The Next 60 Days With A No-Risk, 100% Money Back Guarantee! “Test drive” the Shoulder Pain Solved Program for the next 60 days with absolutely no risk so you can fix your shoulder and end your shoulder pain. You can feel completely safe because you are protected by my iron clad 100% money back guarantee. You will not only be satisfied, I guarantee you will be thrilled and amazed with the Shoulder Pain Solved, or you can simply email me and ask for a prompt and courteous, no hassles, no questions asked, 100% refund. P.S. – There is NO RISK at all for you when you try the Shoulder Pain Solved Program. If you are not thrilled by how this program decreases your shoulder pain, let me know and I will refund your order. Your satisfaction is 100% guaranteed. Rick Kaselj has been trusted by the largest fitness & rehabilitation associations in North America (NSCA, ACE, CanFitPro, BCRPA, BCAK, CKA, NHPC). P.P.P.S. – There’s only one catch to all this. You need to act now to get the complete package. I’ve been told this package is way too cheap now and the price will be going up very soon. So, if I decide to keep the price the same, a few of the components may be removed at any time and sold separately. NOTE: The Shoulder Pain Solved Program is a downloadable video and e-book. No physical products will be shipped. After you order, you will get INSTANT ACCESS to download the video and e-book. The e-book format is adobe acrobat PDF, which can be viewed on Mac or PC. The video format is MP4 which can be viewed on Mac or PC. If you have any questions or need help, you can contact us at support (at) ExercisesForInjuries.com.